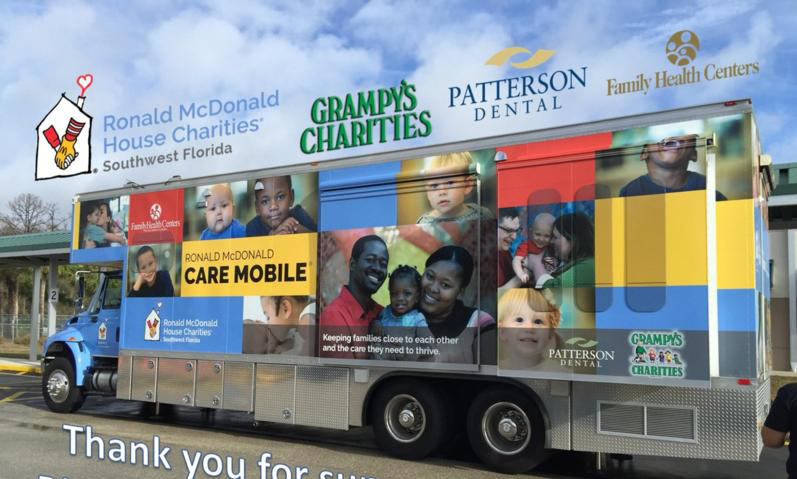 Ronald McDonald Care Mobile sponsored by Grampy's Charities. A mobile medical unit serving children with limited access to dental and medical services. Thanks to support from Grampy’s Charities and Sanibel Captiva Community Bank, Robbie’s Riders presented five adaptive tricycles, worth nearly $6,000, to Naples children through its Freedom Program at the bank’s McGregor branch in Fort Myers.